Total Safety Services have IDEST approved test centres for the inspection and testing breathing gas and dive cylinders to meet current British Standards. All kinds of pneumatic cylinders can be fully tested to meet BS EN 1802:2002 and BS EN 1968:2002 standards. All cylinders are extensively inspected both internally and externally for signs of corrosion or damage. Even the very finest of the general area of the neck of the cylinder can be detected using out visual plus eddy current tester. Testing of oxygen cylinders and ‘oxygen cleaning’ facilities are also available, along with cylinder refurbishing and internal rumbling. 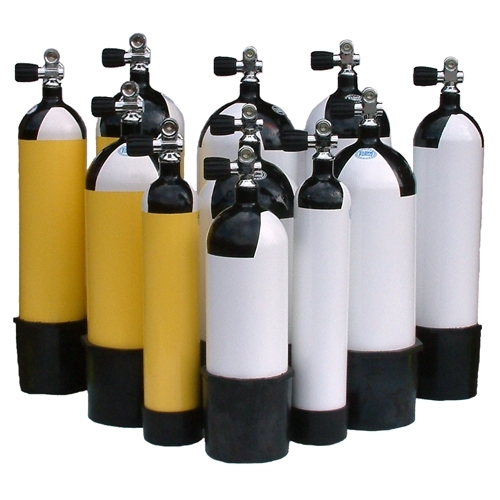 We also fill cylinders up to 300 bar with high quality compressed breathing air complying to BS EN 12021.